So, we’ve all heard the phrase jack of all trades… and while being a jack-of-all-trades is useful, there are some definite perks to being master of one! 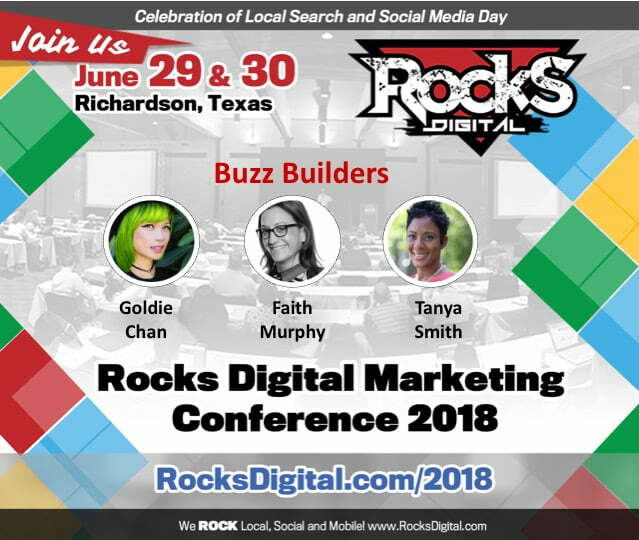 These guest speakers are bringing you the best strategies, tips, and info you need to master building a buzz online. Click the speaker name or title below to read the speaker bio and full presentation description. 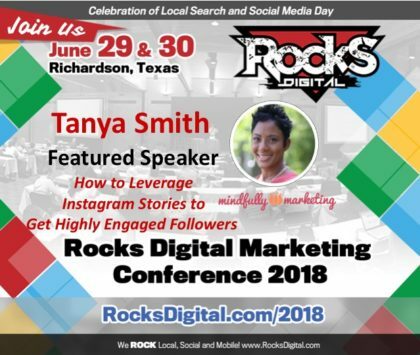 Tanya Smith to present "How to Leverage Instagram Stories to Get Highly Engaged Followers" at the Dallas-based 2018 Rocks Digital Marketing Conference. Meet Tanya now. 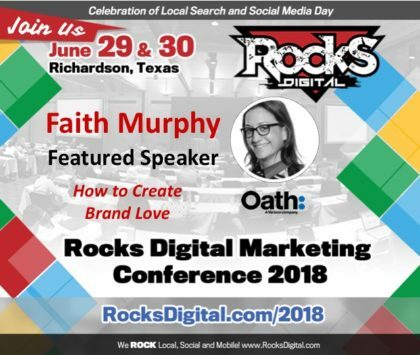 Faith Murphy, Senior Director of SMB Partnerships at Oath, to present on How to Create Brand Love at the Dallas-based 2018 Rocks Digital Marketing Conference. Meet Faith here. 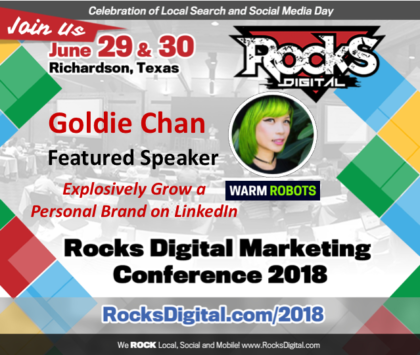 Goldie Chan, top LinkedIn Video creator, social media strategist, and keynote speaker to present "How to Explosively Grow a Personal Brand on LinkedIn" at the Dallas-based 2018 Rocks Digital Marketing Conference. Meet Goldie now.